Thank You Coconut Grove Grapevine! There will be a candlelight vigil and silent march tomorrow, to commemorate missing mother, Lucely “Lily” Aramburo on the two year anniversary of her disappearance. 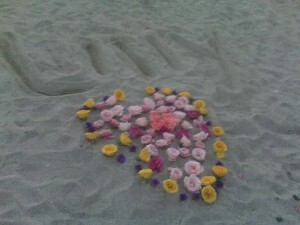 On June 1, 2007, Lilly Aramburo, 23, left her ex boyfriends house in the middle of the night, never to be seen again. 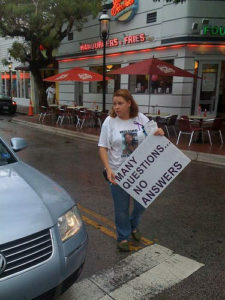 The Miami Dade Police Department’s detectives failed to interview Christen Pacheco, Kelly Starling, and “EJ” who were present when Lily disappeared.The march will start at 6 pm at CocoWalk, tomorrow, May 31. The march will go to 3440 Percival Avenue. Francisco Alvarado, of the New Times, was the first to report on the disappearance last September.More info on the vigil and march at the Justice in Miami Blog. The South Florida community and local media is invited to join us this Sunday for a Silent March and Candle light Vigil for Lilly Aramburo. Please see the media alert below. 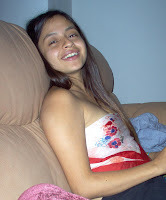 (Miami, Florida, May 29, 2009) On June 1, 2007, Lilly Aramburo a single mother 23 years of age left her ex boyfriends house, a known heroin user, shortly after 2 AM never to be seen again. The Miami Dade Police Department’s detectives failed to interview Christen Pacheco, Kelly Starling, and “EJ” who were present when Lily disappeared. Only after an article in the Miami New Times in September 2008 was Christen Pacheco interviewed. A private investigator who volunteered to help in Lily’s disappearance has developed a theory that Lily lost her life the night she disappeared in a crack house in Coconut Grove. The investigator has had 4 meetings with the Miami Dade Detectives providing details of the location as well as suspects in Lily’s disappearance/murder. To this day, the Miami Dade Police Department has done nothing to solve the case. 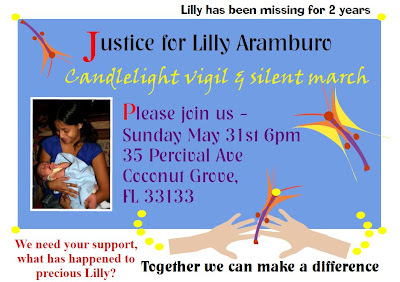 This Sunday, May 31, 2009, we will hold a vigil commemorating the second anniversary of Lily’s disappearance. The vigil will be held at the location where it is believed she lost her life. Names and details of the suspects in the case will be provided in the hopes that someone in the Coconut Grove community will come forward with information. Six months have passed since this information was provided to the Miami Dade Police Department with no results. Come join us to commemorate and pray for Lily and her family. 3440 PERCIVAL AVENUE, COCONUT GROVE, FL. The Disappearance of South Florida mother, Lucely “Lily” Aramburo has left her family and friends devastated. Although it’s been almost 2 years, since she’s been gone, she is not forgotten. Lilly was a very good friend. I miss her dearly. 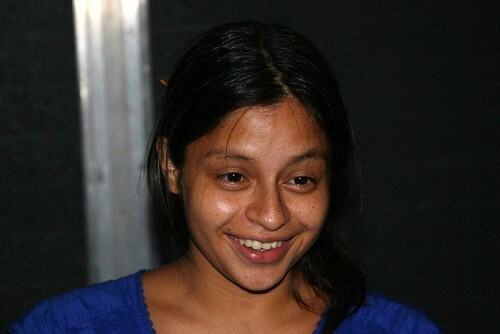 Lilly Aramburo was 23 when she disappeared in June 2007. She was last seen leaving her boyfriend’s condo, located in the Kendall area of Miami, Florida. 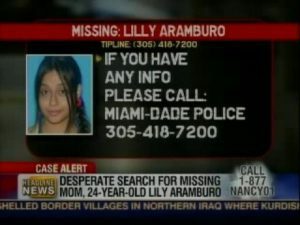 Lilly’s boyfriend called her family the next evening at 2am after reporting her missing to Miami Dade Police. There are a lot of questions and very few answers. Needless to say, Lilly’s case remains unsolved. A candlelight vigil and silent march is being planned for the 2nd year anniversary of Lilly’s disappearance. It will take place at the end of May in Coconut Grove, Florida. I will keep you updated as more info becomes available. 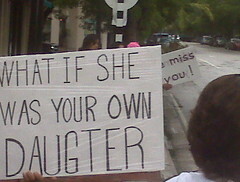 If you live in the South Florida area, consider showing your support by attending the vigil and silent march. If you use Facebook, please RSVP here. Listen to EL SHOW DE ENRIQUE Y JOE for Latest Update on the Lilly Aramburo Case! That’s right, folks! Monday morning, April 20th (tomorrow) tune in live to EL SHOW DE ENRIQUE Y JOE on 98.3 in Miami at 8am. I will be on the show along with Lilly’s mother, Lucely and our good friend/private investigator, Joe Carrillo to discuss the latest developments in Lilly Aramburo’s case. We need your help and support now more than ever!! Lilly was reported missing almost 2 years ago. We believe she lost her life the night she disappeared. Our investigation reveals that she lost her life in Coconut Grove at the hands of a convicted murderer and his accomplices. We have handed the Miami Dade Police Dept. the information over 4 months ago and to this day NOTHING has been done to bring her killers to justice. We need the communities help to pressure law enforcement to do what we pay them to do! Listen to 98.3 FM Monday morning beginning at 8 AM for the latest developments in Lilly’s case. Remember, tune in to 98.3 FM Monday at 8 AM and feel free to call in with your questions or comments. The phone number is 1-888-305-SHOW. Click here for more details ~ You can also listen online here. ENRIQUE Y JOE SHOW…The high-profile and outlandish radio personalities Enrique Santos and Joe Ferrero have repeatedly broken sales and audience records and maintained as the number 1 radio show in Miami and one of the most popular Hispanic programs in America. The pair’s bilingual broadcasts are a crossover hit of humor, social satire and political commentary that bridges cultural and generational divide. Santos (a former police officer) bid for City of Miami mayor last election, running against incumbent Manny Diaz and winning nearly a quarter of the vote. Enrique along with radio veteran Joe Ferrero have made Miami Radio history and are internationally known for their phone pranks to Venezuela’s Hugo Chavez and Cuban Dictator Fidel Castro. Read more about the insanely popular morning show, El Show de Enrique y Joe. On behalf of Lilly Aramburo’s family and friends, we wish you a very Merry Christmas and the happiest of holidays. We’d like to thank you for all your kindness and support. We appreciate all your prayers for Lilly and wish you and your loved ones a safe and joyous holiday. Sunday, November 16th would have been Lilly Aramburo’s 25th birthday. More than 16 months have passed since her family and friends last saw Lilly’s sweet smile or listened to her kind words. Her absence is felt every day by many who knew and loved her. Justice In Miami is inviting everyone to join Lilly’s friends and family this Sunday for a Birthday Vigil in Lilly’s honor in Miami Beach. The gathering will take place on 80th Street & Collins Ave to celebrate Lilly’s life. Bring a candle and a prayer, together we can start the healing process. Sadly, life hasn’t been the same since June 2, 2007. It won’t ever be back to normal until the truth about what happened comes to light and the persons who did this are brought to justice. If you’re interested in attending, please let me know and I’ll make sure to keep you updated. If you cannot make it, (wherever you are) please light a candle and dedicate a prayer for Lilly. Let Lilly’s name not be forgotten.